2 people decided to come outside the complex, and start walking each with umbrellas to create paranoia like usual. Now I don’t know about you, but I’ve seen things in like the 1940’s of women with umbrellas, but in my lifetime, I’ve never seen a women with an umbrella in sun. 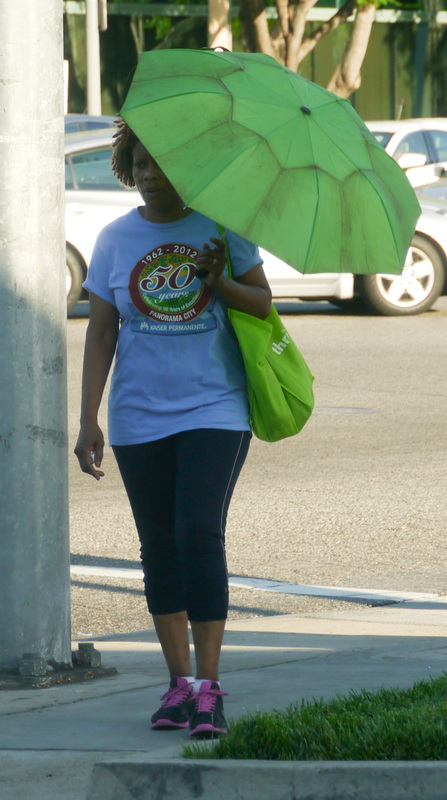 Now maybe once in a while it’s possible, but being that last week I took 10 pictures in 15 minutes of women with umbrellas in a 5 mile drive we all know whats really going on here with the intent to kill for 30 years.